THE ROSEN DIFFERENCE. DEFINED. The freedom to cut red tape, not corners. The resources to minimize hassles and maximize opportunities. The expertise to know that how we achieve your goals is as important as when. Independently owned and operated since 1974, each Rosen Hotels & Resorts property in Orlando delivers a level of service unburdened by constraints common to other hotels. So we are able to provide custom concessions that add meaningful value to your events, and infinitely more. That is the Rosen Difference. 6 Owner’s Letter A letter from Harris Rosen. 14 What’s New? Discover all the exciting changes happening throughout our hotels. 12 Rosen Associates The associates of Rosen Hotels & Resorts are part of a caring and attentive family. 32 The Rosen Difference The staff at Rosen Hotels & Resorts has delivered unsurpassed service for more than 44 years. 18 Building a Dream Harris Rosen reflects on his rise to the top of the hotel industry ladder and discusses why philanthropy is the key to meaningful success. 26 Rosen Cares Corporate social responsibility is alive and well. Photographer Roberto Gonzalez captures Harris Rosen, owner of Rosen Hotels & Resorts, at ‘39 Poolside Bar & Grill at Rosen Plaza. Shaw Floors is dedicated to providing exceptional flooring that enhance your space and fit your lifestyle. Shaw Flooring Network members have partnered with Shaw and are committed to providing excellent service. With exclusive offers, products, and training, these retailers have the experience and expertise to help you select the perfect floor for your home. To find a Shaw Flooring Network Retailer near you, visit shawfloors.com/stores. 42 Orlando Spree Orlando is a shopper’s paradise, and our three-day itinerary will help you make the most of your retail adventure. 46 Enduring Legacy Arnold Palmer’s design highlights the jewel of Rosen Shingle Creek. Orlando offers a diverse array of nonstop attractions. 48 All in the Family Harris Rosen draws inspiration from generations past to create some of the finest restaurants in Florida. 72 By the Numbers Figures and fun facts. President & COO Harris Rosen Vice President & CFO Frank Santos Vice President, Sales & Marketing, Rosen Convention Properties Leslie Menichini Rosen Shingle Creek General Manager Dan Giordano Director of Sales & Marketing Katie Bellas Rosen Centre General Manager Phil Caronia Director of Sales & Marketing Todd Frappier Rosen Plaza General Manager Derek Baum Director of Sales & Marketing Victoria Hall Deatrick Public Relations Mary Deatrick CO N TEN T DIRECTION Leslie Menichini Mary Deatrick A special thanks to Rosen Hotels & Resorts associates whose heart and commitment to the company provide the inspiration we are able to share in this magazine. MVP CU STO M PU B LICATIO N S EXECU TIVE President Donna W. Kessler Vice President of Operations Angela E. Allen MVP | ED ITO R IAL & D ESIG N Editor Brooke Fehr Art Director Jennifer Keller Vaz AD VERTISIN G JAMES G. ELLIOTT CO., INC.
Rosen Centre are named in honor of my grandparents who dreamed of and struggled mightily for a better life in America for themselves and their children. I hope you will enjoy an in-depth look at my father, Jack Rosen, whose whimsical autographed caricatures hang on the walls of his namesake restaurant Jack’s Place at the Rosen Plaza. We will introduce you to 3NINE, our entertainment venue, and ’39 Poolside Bar & Grill, also at the Rosen Plaza, themed by my son Joshua for his dad’s birth year. Throughout the magazine you will see mentions of the Tangelo Park Program, an educational scholarship initiative created 26 years ago, of which I am most passionate. This program provides a free preschool education for every two-, three- and fouryear-old in the Tangelo Park community and a full scholarship to include tuition, room, board and books for every Tangelo Park high school graduate who is accepted to a Florida public college, community college or vocational/trade school and now Rollins College. In the meantime, it is with tremendous excitement that I share with you that we have implemented a similar program in another underserved Orlando neighborhood, the downtown Orlando Parramore district. Since the spring of 2016, we have awarded more than 35 college scholarships to Jones High School graduates. We also are now funding the 24-classroom Rosen Preschool, which opened in August 2017. It is our hope that others will witness the extraordinary success both initiatives have achieved and will consider replicating a similar program in their own city. We are a relatively small, independent hotel company that prides itself on being responsive to the ever-changing needs of our guests. It is with this in mind that we would like to get to know you a little better and ask that you please send us an email with any comments to hrosen@rosenhotels.com. We are a company that isn’t comfortable resting on our laurels. THE ROSEN DIFFERENCE IS FLAWLESS. At Rosen Shingle Creek, it is clear that perfection is the norm and outstanding service is the standard. Literally made for meetings, it is a hotel designed for success and to the most exacting standards. Yours. Located in Orlando and independently owned since 1974, Rosen Hotels & Resorts is driven by possibilities and dedicated to assuring meaningful, measurable results. That is the Rosen Difference. THE ROSEN DIFFERENCE IS CONFIDENT. Ideally situated on International Drive, Rosen Plaza is perfectly outfitted with exceptional meeting spaces, as well as atypical amenities. All backed by the level of expertise you expect and the undeniable differences for you and unforgettable experiences for your attendees. Located in Orlando and independently owned since 1974, Rosen Hotels & Resorts is driven by possibilities and dedicated to assuring meaningful, measurable results. That is the Rosen Difference. THE ROSEN DIFFERENCE IS SAVVY. At its core, Rosen Centre is simply smart. Offering incomparable experiences alongside state-of-the-art, sought-after venues, it is where meetings are made better and events become settings for success. Located in Orlando and independently owned since 1974, Rosen Hotels & Resorts is driven by possibilities and dedicated to assuring meaningful, measurable results. That is the Rosen Difference. From innovative corporate strategists to celebrities raising funds for charity, leaders come together with Rosen Hotels & Resorts. Comedian and former late-night talk show host Jay Leno visits with Lilianne Murr, National Sales Manager, Rosen Hotels & Resorts, and Fernando Ching, Resident Manager, Rosen Shingle Creek, before entertaining the crowds at the Florida Realtors Convention. A FASHIONABLE CAUSE Runway to Hopeâ&#x20AC;&#x2122;s Spring Soiree supporting pediatric cancer programs at Rosen Shingle Creek. (Above) Adam Rosen (in stylish bow tie) with Anael Cohen and with (l to r) Robert Herjavec, Kim Herjavec and Joey Fatone. (Right) (l to r) Lisa Ling, Joey Fatone, Melissa Rivers and Rosen Hotelsâ&#x20AC;&#x2122; Corporate Controller Jim Bina with Andrew Hoyle. Frank Santos, Vice President & CFO, Rosen Hotels & Resorts, welcomes six-time Academy Award nominated Glenn Close for the Mental Health Association of Central Florida luncheon at Rosen Centre. STRIDES FOR MENTAL HEALTH AWARENESS Actress and model Brooke Shields is joined by Rosen associates for the Mental Health Association of Central Florida annual luncheon at Rosen Centre. POWER PLAYERS Harris Rosen joins former presidents Bill Clinton and George W. Bush for a risk management and security conference, which was hosted by Global Options Group at Rosen Shingle Creek. Celebrating 45 Years … THROUGH THE YEARS, Harris Rosen has been referred to as a hospitality innovator, a generous philanthropist and an astute Orlando business leader. Rosen simply calls himself “grateful.” “When I purchased my first hotel, the Quality Inn International (now the Rosen Inn International) on June 24, 1974, I never dreamed I would eventually own nine hotels,” said Rosen, reflecting on 45 years as president and COO of his company Rosen Hotels & Resorts. “I am incredibly grateful for those who have contributed toward this success, most importantly our loyal team of associates. Without the commitment of these thousands of associates who happily welcome and tend to our guests, we wouldn’t be where we are today.” Becoming a Rosen associate means being welcomed into a caring, attentive family. Fiercely loyal and dedicated, many Rosen associates have been with the company for 20, 30, even 40 years. In fact, Rosen Hotels & Resorts enjoys one of the hospitality industry’s lowest turnover rates – in the low teens – as compared to the industry average of 60-70 percent. Why do associates so tightly align? Maybe because Rosen doesn’t just say he’s grateful, he shows it. • Rosen associates receive free higher education (including tuition and books) at a Florida state public college or university for their children after three years and for themselves after five years of employment. • The healthcare is second to none, all self-funded by Rosen Hotels & Resorts through Rosen-owned ProvInsure. The most a plan participant pays for a hospital visit is $750. Associates on the plan visit the on-site Rosen Medical Center, on the clock, with transportation provided if needed. (See pg. 38 “Road to Wellness” for more details.) • Numerous opportunities to donate time and talent to charities are available. These include local non-profits and dedicating resources to our sisters and brothers in Haiti, the origin of about a third of Rosen associates. • Family carnival, a holiday showcase, an annual health fair – fun, free events created for the enjoyment of associates and their families. What started with a 240-room hotel has blossomed into a family affair. And always at the heart of the house, a happy, satisfied Rosen associate welcoming guests home. ...And the associates who helped to make it happen. WITH ROSEN SHINGLE CREEK’S recently completed enhancements inspired by Florida’s legendary sunshine, guests of the hotel will receive a warm welcome the moment they arrive. As they enter the sun-filled lobby, they will discover a new golden palette with jewel tones of honeycomb yellow and orange-tangerine that accent the original neutral tones used to complement the hotel’s unique and natural setting and backdrop of the historic Shingle Creek, headwaters of the Florida Everglades. New metal art murals, imbued with the colors of sunset reflected in the still waters of Shingle Creek, adorn the walls. Expanded communal seating areas throughout the popular Headwaters Lounge create new “social” hubs to mix and mingle while enjoying gorgeous views of the hotel’s manicured gardens and pristine golf course designed by the Arnold Palmer Design Company. In the guestrooms, style and comfort artfully combine with a new custom carpet design playing off the fauna of Shingle Creek in shades of caramel and bronze. The luxurious Creek Sleeper beds feature new crisp white sheets dressed with chocolate and copper scarves from New York-based textile designer Stacy Garcia, a hospitality design innovator. Reflected in the artwork, lighting and fabrics—including new window treatments that frame each guestroom’s magnificent view—are soft coppers, sky blues, teals and chocolate tones. This new modern feel is enhanced with all the upscale amenities one would expect to find in an award-winning AAA Four Diamond hotel. Guests at Rosen Shingle Creek’s Café Osceola buffet-style restaurant will enjoy dining among the new touches of sunset orange that mimic the sunshine streaming through its magnificent two-story windows. Tobias Burgers & Brews’ refresh is inspired by the craft beer and bourbon phenomenon with warm hues of camel, copper and rich earth tones. Rosen Shingle Creek, 9939 Universal Blvd., Orlando, FL 32819, 407.996.9939, RosenShingleCreek.com. MEETING SPACES THAT AMAZE: Rosen Shingle Creek features 524,000 sq. ft. of meeting and event space with “everything under one roof.” INSPIRING CREATIVITY: Recently renovated guestrooms offer magnificent views of the hotel’s championship, 18-hole golf course designed by Arnold Palmer Design Company. LET THE SUN SHINE: New jewel-tone furnishings add a contemporary touch to the sun-filled lobby. Bringing the outside in is the mantra of the hotel’s new décor. New contemporary guestrooms combine comfort and style. GUESTS OF ROSEN CENTRE now experience the future of comfort. A stunning refresh of the luxury hotel’s guestrooms reflects sleek and polished new furnishings, a calming color palette and tech-friendly integrations to keep business travelers and families rested and recharged. Reflecting the ultimate in spa-like calm and serenity, the rooms are rich in soft touches of gray, crisp white and teal complemented with brushed nickel to create a contemporary feel. Business travelers, tech-savvy families and millennials alike will enjoy the new, easy-toaccess technological integrations. A new streamlined, quartz-topped dresser desk offers plenty of room to spread out and use with multiple laptops, electronic devices and more. They can charge all of their devices at once on the multi-outlet connectivity bar located below a new wall-mounted 50” flat screen TV. In addition to the renovation, Rosen Centre has upgraded its guestrooms to double queens and has increased king guestrooms by 24. New pillowtop mattresses have been customized with extra quilting for Rosen Centre guests to provide unsurpassed comfort and support for a superior night’s sleep. Guestrooms come with the comforts of home, including mini refrigerators, coffee makers and complimentary Wi-Fi. Rosen Centre features the best in pre-themed spaces with the charming Harry’s Poolside Bar & Grill. An elegant Caribbean ambiance flows through the restaurant, and both indoor and outdoor seating offer views of the outdoor tropical swimming pool and patio. With all it has to offer, Harry’s is an excellent choice for planners hosting everything from a 70-person board of directors reception to a special event of 1,700 (when combined with the adjacent pool deck), saving them time and money with the venue’s built-in décor and convenient location. Rosen Centre, 9840 International Drive, Orlando, FL 32819, 407.996.9840, RosenCentre.com. MADE FOR MEETINGS: Rosen Centre offers more than 150,000 square feet of meeting space connected to the Orange County Convention Center’s additional 2.1 million sq. ft. of space. STYLISH UPGRADE: A stunning refresh of the hotel’s guestrooms reflect sleek new furnishings. STANDOUT DINING: Harry’s Poolside Bar & Grill offers a contemporary Caribbean-inspired atmosphere and is available for special events including buyouts. CHIC, BOUTIQUE, UNIQUE. Three words that sum up Rosen Plaza and its award-winning stature as one of Orlando’s premier hotels. With one-of-a-kind amenities, recent enhancements and an exceptional location, the hotel continues to be a preferred destination for leisure and business. For the best Orlando experience, location is key. Look no further than Rosen Plaza, ideally situated just steps from the Pointe Orlando entertainment complex and minutes from the area’s world-renowned theme parks, attractions, shopping and dining. The hotel is conveniently connected via the Gary Sain Memorial Skybridge to the Orange County Convention Center for easy access to additional meeting space. Rosen Plaza recently unveiled chic new furnishings and stylish décor depicted in a soft white and light gray color palette for an elegant new look for its front desk and lobby to include guest services and the business center. The hotel’s 60,000 sq. ft. of versatile indoor meeting and event space, including the 26,000 sq. ft. Grand Ballroom, is now adorned with new décor and contemporary carpeting in soothing hues of rich silver, gray and blue. For special events or just an exhilarating night out, Rosen Plaza is the only hotel on famed International Drive to feature an evening venue for entertainment. 3NINE brings partygoers to their feet with music, specialty drinks and casual dining. The 5,000-square-foot 3NINE is ideal for private events providing a turn-key solution including built-in staging, state-of-the-art sound, lighting and AV and multiple customizable flat panel TVs. The venue accommodates 500 people indoors, or 1,500 guests when the event is extended to the patio and pool deck, ’39 Poolside Bar & Grill. Here, guests can drink in balmy breezes and beautiful poolside scenery with their cocktails in hand while still enjoying the indoor nightlife scene. Rosen Plaza, 9700 International Drive, Orlando, FL 32819, 407.996.9700, RosenPlaza.com. ROSEN PLAZA: At the intersection of fantastic and amazing, Rosen Plaza is ideally connected to the Orange County Convention Center. ELEGANT WELCOME: New stylish décor amid enhanced chic furnishings create a stunning welcome as guests enter the hotel’s newly revitalized lobby. MEET AND GREET: Contemporary new carpeting now enhances Rosen Plaza’s 60,000 sq. ft. of meeting and event space. Sleek and modern set the tone for both socializing and relaxation. Resorts to get exclusive Member Rates, points for each stay, and benefits including room upgrades at more than 650 independent hotels worldwide. Leave the ordinary behind. Enroll now to experience rewarding travel. All the lowdown you can download. wheretraveler.com The new city guide website from the experts at Where Magazine. Info only the locals know. MY STORY BEGINS in the early 1900s, when my grandfather, Harry Rosenovsky, arrived at Ellis Island to start a new life. Harry left his wife and four sons in Russia (the Ukraine) because he believed there was no future for his family there. Around the same time, Samuel Rosenhaus, a captain in the Austrian Cavalry, also left for America, leaving behind a wife, two daughters and two sons to pursue his dream to create a better life for them. During the immigration process at Ellis Island, both men’s last names were shortened to “Rosen,” and like so many others they settled in small settlement apartments on the Lower East Side of Manhattan, alongside many thousands of other immigrants mostly from Italy, Ireland and Eastern Europe. In time, both men achieved some semblance of the American dream. After several years, Harry eventually rented a storefront on Hester Street and opened a small, 25-seat restaurant. And with the help of his wife and sons, he performed virtually all of the restaurant’s duties, from server to cook and dishwasher to night cleaner. Samuel, on the other hand, started his career as an apprentice barrel maker in a small shop near the Fulton Fish Market where he worked directly for the owner. When the owner passed suddenly, Samuel, much to his own surprise, became the new sole proprietor of the business. Roughly three years after their arrival, both men sent for their wives and children. Shortly thereafter, there were additions to both families. Harry had a fifth son, Jack; and Samuel had a third daughter, Lena. Jack and Lena met shortly after Jack’s high school graduation. They dated, fell in love, married and on September 9, 1939, I was born. We lived in a rented apartment on the Lower East Side of Manhattan. Our apartment was on the seventh floor, and it was located between the East River, Little Italy, the Bowery and Chinatown. Five years later my brother Ron was born. When I was about 10 years old, I remember spending weekends with my dad at the Waldorf Astoria Hotel, where he worked as a safety engineer and a poster artist. Dad was very talented and supplemented his pay by doing safety posters for various departments and special handwritten place cards for fancy banquets. though I inherited some of my dad’s artistic ability and was contemRegarding the place cards, Dad would first write the guest’s name plating a career as an artist, I began to believe that perhaps a career in in pencil, then write over the pencil with ink. On weekends, my job the hotel industry just might be a bit more interesting. was to erase the pencil lines and then fold the card and place it in alAfter middle school, I went to Music & Art High School in the phabetical sequence in a shoebox. For that work I was paid one penny Bronx and aspired to be a successful commercial artist. However, I for each card I handled. On the day of the banquet, we would then remembered my experience working with Dad—and, yes, meetcarry the shoebox to the designated ballroom, often times traveling in ing Marilyn Monroe—and I decided to not only apply to several an elevator. On numerous occasions, while delivering the place cards, we would fine arts colleges (Pratt, Cooper Union and Carnegie Tech), but to also apply to Cornell’s famous school of hotel management. I was meet famous people in the elevator. For instance, I remember meetimmediately accepted to Pratt, Cooper Union and Carnegie Tech, ing General Douglas MacArthur, who lived in the Waldorf Towers. all excellent fine arts schools. However, after anxiously waiting We also met Ty Cobb, Jackie Robinson and Pope John. One day, the most beautiful lady I had ever seen was in the elevator with a very tall, for a month or so, I was quite surprised to be accepted to Cornell. I spent four wonderful years at Cornell University majoring, of distinguished-looking gentleman. Although I was only 10 years old, course, in hotel management. I was very impressed with the young blonde lady and I whispered to Because there was a war going on in Dad, “Can you please introduce me?” Dad Vietnam at the time and because I couldn’t said, “Sure.” He first introduced me to the imagine myself entering the military as an gentleman, who was the former Ambassaenlisted man should I be drafted, I decided dor to Great Britain, Joseph Kennedy (Ted, to go through ROTC. Upon graduation, I Bobby and John Kennedy’s dad). He then was commissioned as a second lieutenant in introduced me to the beautiful blonde lady the U.S. Army. I did my basic training at Fort when he said, “Harris, I would like you to Bragg, home of the 82nd Airborne. To this meet Marilyn Monroe.” day, I return every September on my birthday WOW! What a thrill that was! At the time to jump with the Golden Knights, the 82nd I did not fully comprehend the relationship Airborne’s Parachute Team. Marilyn had with the three Kennedy men After spending three years and several (the ambassador and two of his sons, Bobby months overseas in Korea and Germany, I and John). I must confess that after meeting left the army and started my career at my Miss Monroe, it occurred to me that even A drawing by Harris at 10 years old of the Bowery. If I was going to be happy and fulfilled, I had to consider being in business for myself. Suddenly it became clear that it was time for me to say thank you to God and to start offering a helping hand to those who needed it. per school). We also mentor our youngsters from LIVING THE DREAM: (From left) It is now our dream to encourage others to kindergarten through high school, and provide replicate our program throughout America. We Harris Rosen on a birthday skydive at parenting classes for moms and dads so that they firmly believe that these initiatives have the power to Fort Bragg; Harris with one of the reare comfortable helping their youngsters with dramatically change our society, primarily because cipients of one of his foundation’s 100 their schoolwork. they offer hope for a better future for the young rebuilt hurricane resistant homes in In April 2016, we announced our second similar men and women living in our nation’s underserved Haiti, December 2017; on the grounds initiative to benefit the Parramore neighborhood neighborhoods. of Rosen Shingle Creek. in downtown Orlando. The new Rosen Preschool Our philanthropic work continues. We recently opened at the new OCPS Academic Center for built the Jack and Lee Rosen Southwest Orlando Excellence (preschool through eighth grade) in Parramore in August Jewish Community Center, which has one of the top Early Childhood 2017. The school is the first of its kind in Florida and may one day Learning Centers in Orlando and an after-school program with approxibecome a prototype for other communities in America to replicate. mately 100 students. Just recently, we completed a theater (event center) This endeavor is reflective of the spirit of the Tangelo Park Program; which can accommodate more than 300 people for special events. however, the scope of the effort is nearly five times as broad. NoneWe have also been involved in Haiti for the past 23 years, theless, we do anticipate results similar to what we have witnessed in providing our Haitian brothers and sisters with food, educational Tangelo Park. materials, healthcare supplies and more than 200 water filtration Both programs provide students upon graduation from high school systems. In December 2017, I visited families in Les Cayes where with a fully-paid vocational or trade school, community college or a we had completed a major rebuilding effort to repair and replace four-year Florida public college scholarship, to include tuition, room, more than 100 homes that were badly damaged or destroyed by board and books. Most recently, we added three scholarships avail2016’s Hurricane Matthew. able to the renowned private Rollins College, located in the Orlando Looking back, had it not been for those incredibly kind, gracious suburb of Winter Park. Through the years, more than 200 youngsters men and women who assisted me when I most needed it, we would have received college degrees. Today, we graduate close to 100 percent not today have the means to offer our assistance to those who need a of our high school students. However, when we started the program, helping hand. We shall continue our philanthropic endeavors well into that number was closer to 60 percent. Crime in the neighborhood has the future because we truly believe that giving back to others is the also declined by more than 60 percent. best investment we can possibly ever make. (Opposite) Sundaes all around when Harris Rosen visits with children at Give Kids the World. (This page) December 2017, Mr. Rosen visits with one of the Haitian families who received one of his foundationâ&#x20AC;&#x2122;s more than 100 rebuilt, hurricane resistant homes. 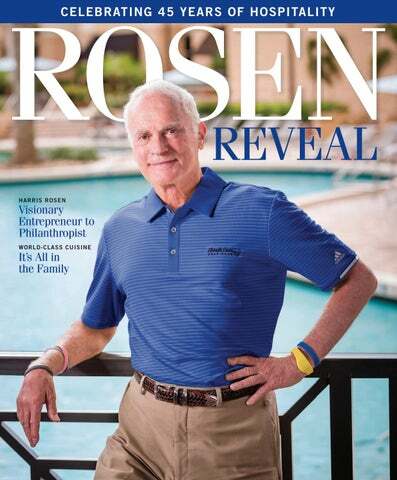 Rosen Cares The motivating force behind the Rosen team and owner Harris Rosen. JONES HIGH SCHOOL SENIOR Stevenson Bassy said he now sees a bright future for both himself and the underserved Parramore community thanks to Orlando hotelier and philanthropist Harris Rosen. In spring 2016, Rosen announced that he would provide a free college education to every Parramore child who successfully graduates from high school, beginning with the 14 students in Bassy’s 2016 graduating class, another 15 students in 2017 and 11 in 2018. All Jones High School graduates who live in Parramore now receive a free educational scholarship to the Florida vocational school, community college or four-year public university of their choice. The full scholarships include tuition, room and board, meals and books. For seniors Angelina Tomlinson and her brother, Travious, Rosen’s promise means they will be the first in their family to go to college. “I’ve been given so much, it’s only right I give back. It’s with enormous gratitude I created The Harris Rosen Foundation 26 years ago. My greatest hope is to instill hope in others.”—Harris Rosen the highest-achievable honor for a student, Order of Pegasus. She received her commission to the U.S. Air Force at her graduation in May 2016. Bassy, who is attending the University of Florida, said he wants to further Rosen’s message of hope after he graduates. The computer engineering major plans to return to the Parramore area with a STEM (science, technology, engineering and mathematics) educational outreach to help increase students’ math and science scores. (Opposite page) Harris Rosen, Rosen associates and representatives of Nemours Childrenâ&#x20AC;&#x2122;s Hospital cook up fun to benefit the hospitalâ&#x20AC;&#x2122;s Ronald McDonald House. (Clockwise from top left) Harris Rosen is joined by Gary Cain, President of the Boys and Girls Clubs of Central Florida, at the 2018 KPMG giving back event, where more than 30 area clubs were treated to fun learning activities at Rosen Shingle Creek. Rosen visits with children at Tangelo Park Elementary School. The Harris Rosen Foundation awards its First Annual Rollins College Scholarships. Clinton offered his “appreciation for the tremendous work you’ve been doing at Tangelo Park. By harnessing the support of the community, and offering even the youngest residents a vision for an inspiring future and a viable path to get there, you have shown that hope and high expectations can go a long way towards changing lives.” When Harris Rosen accepted the 2015 Coretta Scott King A.N.G.E.L. (Advancing Nonviolence through Generations of Exceptional Leadership) Award at the 32nd Annual Salute to Greatness at the King Center in Atlanta, he shared his dream. His dream is that one day soon, companies throughout America will implement programs similar to his Tangelo Park Program in underserved neighborhoods in their own backyards. To Rosen, this could change the landscape of our country. It would keep hope alive. (Clockwise from top left) Adam Rosen honors his father with the first Adam Rosen Children’s Hope Award at Runway to Hope. Todd Frappier, Director of Sales & Marketing, Rosen Centre, is overwhelmed by books donated to A Gift for Teaching. Rosen Hotels & Resorts’ executive management team volunteering at Second Harvest Food Bank. Rosen Shingle Creekâ&#x20AC;&#x2122;s expansive outdoor venues. Rosen Centre’s newly refurbished guestroom. (Clockwise from top left) Travers Johnson, Associate Director of Sales, Harris Rosen and Pastor Michael Ford. A local book club celebrates completing A Land Remembered with a chocolate rendition. The Rosen sales team reveals to customers one of the companyâ&#x20AC;&#x2122;s versatile event spaces, 3NINE. Planning a new meeting or event in Orlando? Take advantage of the 2019 Rosen Hotels & Resorts “Signing Bonus” promotion. New leads on select “hot” dates in 2019 may qualify for a bonus starting at $3,000; events must be a minimum of 250 room nights and include a food and beverage contribution for Rosen Plaza, Rosen Centre or Rosen Shingle Creek. For details, planners may call 407-996-4890.
memorable meetings that provide real value. We have the knowledge and are afforded the power to deliver an elevated level of service, and an unbeatable meeting planning formula.” “The experience was flawless,” said Dean Villegas, Director of Corporate Services, Dealix Corporation, about his event at Rosen Centre. “The catering staff were very prompt and accurate with orders. In our experience with over 50 events at various hotels around the United States, which includes the Four Seasons and the Ritz-Carlton, we have never been treated so much like royalty as at the Rosen Centre.” Rosen Hotel’s three convention properties— Rosen Plaza, Rosen Centre and Rosen Shingle Creek—combined provide more than 700,000 square feet of impressive meeting and event space and 3,635 guestrooms and suites to accommodate from dozens to thousands of attendees. Their premier executive and sales team members ease the planning process and expand planners’ abilities to deliver exciting, affordable and notable meetings. “It was our first year here, but it won’t be our last,” said Fiechter. Whether planning a tournament at Shingle Creek Golf Club or hosting an inspired event in one of the hotels’ versatile venues, planners are not just appreciated clients of Rosen Hotels & Resorts, you and your attendees are family. Experience the Rosen Difference for yourself and see what independence can do for you. 2018 Sales’ Top Achievers annual event. (Clockwise from top left) The Rosen sales team at the Rosen Preschool. Rosen Shingle Creek is honored with the prestigious Maritz Travel Company Supplier of the Year, 2017. Innovated Professional Solutions, Inc., AMCM ILSMT Working Group 2018, the groupâ&#x20AC;&#x2122;s ninth meeting. (l to r) Medical Center Director Kenneth Aldridge, Harris Rosen, World Health Care Congress rep, ProvInsure President Ashley Bacot. a continual path to wellness.” Rosen Hotels & Resorts has established a strong partnership with a hospitalist group to care for associates who are admitted to the hospital. 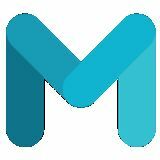 This relationship closes the loop between inpatient care and the continuation of care, offered at the medical center, for patients released from the hospital. In addition to the hospitalist, a Rosen Medical Center provider visits patients admitted to the hospital to evaluate the patient’s service, answer questions and to show a familiar face. The company has also created a home-care component which provides care for associates who need home-care services. “You really don’t need a medical degree to put a program like this together,” said Rosen, who for many years has promoted and readily shared his model for employee healthcare with other business and community leaders. “Companies with 1,000 covered lives or more can cost-effectively build an in-house program, and those with lesser numbers can easily combine their efforts with other businesses.” In fact, in 2010, to help others reap similar benefits, Harris Rosen launched Rosen Healthcare Solutions, which assists companies in either setting up their own primary-care medical centers or establishing and operating their own facility on a turnkey basis. In his Forbes article, Chase encourages, “If you are a shareholder or employee, send this article to the CEO asking them when they will take actions similar to Rosen Hotels & Resorts.” With RosenCare, there’s no reason why they can’t. For more information about RosenCare, contact Ashley Bacot, President, ProvInsure at abacot@provinsure.com, or visit their website, RosenCare.com. SHOPPERS, START YOUR ENGINES. The world’s top theme parks lure millions to Orlando, but a fabulous shopping scene is what really gets them smiling. Scores of malls and outlets plus several neighborhood boutique districts all within a 15-mile radius have made Orlando one of the most popular shopping destinations in the country. Pack the malls, designer department stores, one-off boutiques and galleries into one place and you’d need 900 American football fields to accommodate them. To tackle it all, you’ll need a tried-and-tested strategy. well as hundreds of stellar finds at Last Call by Neiman Marcus. A triumphant day at Vineland Avenue might include a great buy on jeans from True Religion, a classic trench coat from Burberry or swimwear from Vilebrequin. Still looking for more shopping? Pointe Orlando, also on International Drive, offers an excellent mix of specialty boutiques and iconic brands. Find the perfect keepsake at Charming Charlie, indulge in Fluffy Fizzies Bath Products or shop for sportswear at Hollister. Ready to shop? Here’s your guide on how to get there. The concierge and valet can easily pre-arrange or arrange town cars and taxis, available 24 hours. No shuttle. NOTE: Prices are one way unless otherwise indicated. Prices subject to change. Travel times and pricing are approximate. PREMIUM OUTLETS: VINELAND 15–20 min. travel time • Town car/SUV: $30 • Approx. taxi fare: $18 • I-RIDE Trolley: $2 per ride or $5 per day, daily from 8:00 a.m. to 10:30 p.m.
Park Avenue boasts a compilation of more than 100 luxury boutiques. PREMIUM OUTLETS: I-DRIVE 10 min. travel time • Town car/SUV: $30 • Approx. taxi fare: $21 • I-RIDE Trolley: $2 per ride or $5 per day, daily from 8:00 a.m. to 10:30 p.m. • City buses (Lynx) pick up in front of the hotel or a short walk away. Maps available in lobby. A Little R&R Indulge at The Spa at Rosen Centre or The Spa at Shingle Creek. SOMETIMES, THE MOST productive thing you can do is relax. Put the meetings aside, take a break from the theme parks and revive your spirit with a little bit of “ah...” Quietly tucked away on the lobby floors of two luxury Rosen Hotels is your journey to nirvana. There, you’ll find The Spa at Rosen Centre and The Spa at Shingle Creek, award-winning, full-service spas ready to renew your outlook and revive your soul. The Spa at Rosen Centre Voted “Orlando Style’s” top spa, The Spa at Rosen Centre’s sleek, contemporary entrance sets the tone for a luxurious spa experience. Wrapped in the arms of a plush spa robe, prepare for a tranquil massage or invigorating facial using the latest, most sophisticated techniques. Bask in one of seven softly lit, aroma-therapy infused treatment rooms as your customized service begins. On your way to total calm, further renew in the private men’s and women’s lounges. Each features posh lounge seating, complimentary light snacks, flat screen TVs and steam rooms. A private entrance to Rosen Centre’s palm-tree lined pool reveals a tropical escape. Sink into a poolside lounge chair, soak up the sun, then order cocktails and Caribbean-Cuban fusion dishes from Harry’s Poolside Bar & Grill. Spa guests are invited to enjoy the pool and spa facilities throughout the day for an extended mind and body escape! To book, please call 407-996-1248 or visit SpaatRosenCentre.com. The Spa at Shingle Creek. Diamond Rosen Shingle Creek. Selected by Trip Advisor’s worldwide audience as a Top Ten Spa in Orlando, the plush nine-treatment room retreat uniquely reflects the hotel’s rich Florida history and picturesque location aside historic Shingle Creek. An extensive menu of sumptuous services beckons, from citrus-infused facials to the lusciously enveloping Everglades’ wrap, all sure to soothe your soul. A deluxe private men’s lounge and impeccably-appointed women’s relaxation lounge welcome spa guests for a day’s departure from reality. Each offers fullyequipped whirlpool, sauna and steam rooms, luxe seating and healthful refreshments. Four lushly landscaped outdoor pools promise a refreshing posttreatment dip. Insiders claim “serenity now” blissfully awaits with a decadent, expertly performed treatment in a private cabana overlooking the tranquil waters of the hotel’s “quiet” pool. For ultra-relaxation, add a catered lunch as you luxuriate in your peaceful sanctuary—ideal for couples to enjoy together! To book, please call 407-996-9772 or visit SpaatShingleCreek.com. After your treatment, perfect your outside to reflect your renewed spirit with full hair, make-up and nail services available at both spas’ salons. Each caters to individuals and groups – whether for a girlfriend’s getaway, wedding party, spouse program or VIP gift – with packages and the spectacular service standard expected at Rosen Hotel & Resorts. Guests of any Rosen Hotel are invited to book a relaxing spa experience at either spa, where you will be whisked away in complimentary transportation as your tranquil journey begins. The Spa at Rosen Centre. THE INDULGENCE YOU EXPECT. THE PAMPERING YOU DESERVE. Made to delight your every sense, The Spa at Rosen Centre provides a variety of rejuvenating spa services, from restorative herbal full-body wraps to revitalizing massages to signature skin treatments, in addition to offering a full-service salon and 24-hour fitness center. All designed to pamper you from head to toe. Shingle Creek Golf Club. For Ryan Hosford, longtime Orlando golf professional and Shingle Creek’s director of golf, the course and “special Palmer Design firm partnership,” takes what was already a U.S. Open and Amateur qualifying venue to a whole new level. “Nobody has greens likes we do ... the combination of unique shapes, variable sizes and strategic undulation is unparalleled in Central Florida,” said Hosford. As Layton put it, when the Palmer team embarked on the project, they set out to “do something resolutely different at Shingle Creek.” “Orlando is a golf town and our backyard,” Layton adds. “As such, we sought to design and build a golf course that would inspire and challenge every type of golfer— handcrafting a course with design features reminiscent of some of the finest courses in the world.” In that respect, it’s the perfect tribute to Palmer, who inspired generations of golfers and sports fans alike. Scenic Hole 17 at Shingle Creek Golf Club. THE KING OF GOLF LIVES ON. Arnold Palmer’s legacy is stronger than ever at Rosen Shingle Creek. Just a few years after the golf legend and Orlando neighbor passed away in September 2016, the AAA Four Diamond hotel is honored to showcase its Palmer-inspired Shingle Creek Golf Club’s course. Rosen Shingle Creek’s championship course, a project finished by Palmer’s namesake golf course design firm during his final days, might well be remembered as one of his best courses. It is a fitting homage to the icon’s illustrious career, synonymous with his Orlando home of nearly 50 years, longtime PGA Tour-venue, Bay Hill Club & Lodge. Shingle Creek Golf Club’s course has always been a favorite destination for avid local golfers and visitors seeking a golf escape amidst Orlando’s tourist and convention-center corridor. The Arnold Palmer design offers even more reason to revel in the renowned Rosen golf experience, as the layout has enhanced and redefined the original course design that opened 16 years ago on a 230-acre footprint alongside the historic headwaters of the famed Florida Everglades. For instance, Arnold Palmer Design Company’s vice president and senior golf course architect Thad Layton designed three new holes on a new 25-acre parcel of land at the northern end of the hotel, re-created numerous other holes to accommodate a future hotel expansion and updated greens and infrastructure, all without compromising the ecoconscious landscape. According to Layton, his design philosophy was putting strategy and variety at the center of the new course with features that “hearken back to the golden age of golf course design.” Shingle Creek golfers will notice elevated greens and cross bunkers strategically placed in the middle of fairways, such as the pot bunkers on the par-5, 567-yard second hole. WHERE PERFECTION M E E TS PA SS I O N .
Designed by the acclaimed Arnold Palmer Design Company, Shingle Creek Golf Club offers a stunning setting to enjoy the sport you love. Located at Rosen Shingle Creek, the 18-hole, par-72 championship course inspires and challenges every golfer, no matter their handicap. So, book a tee time and experience the breathtaking beauty and celebrated service you can only find at Rosen Hotels & Resorts. ALL IN THE FAMILY Harris Rosen draws inspiration from generations past to create some of Florida’s finest restaurants. Rosen’s other grandfather, restaurant owner Harry Rosenovsky, from Belarus. The 24-hour Red’s Deli at the Rosen Centre (there’s a deli in every Rosen Hotel) is in honor of Harris Rosen’s mother, Lee, who his dad called “Red.” Rosen’s passion for food and hospitality even passed down to his children, who have attended the UCF Rosen College of Hospitality Management (which he funded), the country’s largest program of its kind. 18 Monroe Street Market at Rosen Shingle Creek comes out of Harris Rosen’s childhood address book; it is where he grew up in New York’s Bowery district. Surrounded by his family, it is no wonder Harris Rosen feels so connected to his hotels and is so welcoming to guests. ’39 Poolside Bar & Grill. tableside. Smoked brisket, chicken or pork carnitas nachos add savory beef, black bean chili and house special chile con queso to jack and cheddar cheese baked tortilla chips. Wings, burgers and a particularly well-liked Sixty South Salad are available during the week and alongside the Sunday brunch, which runs from 11 a.m. to 3 p.m. It offers a decadent French toast stack, hearty chicken and waffles with kickin' 3NINE sauce and the ’39 Benny, a crab cake Benedict served on crispy potato pancakes. And don’t overlook the 39-ingredient, make-your-own Absolut Bloody Mary station. Don’t miss Happy Hour specials and live music daily from 4-7 p.m.
Harry’s Poolside Bar & Grill. ROSEN CENTRE The culinary specialties of Mexico, Japan, Southern Florida and Eastern Europe are just steps away from each other at Rosen Centre, all under the seasoned eye of Executive Chef Michael Rumplik. Harry’s Poolside Bar & Grill. Across the lobby and outside, Harry’s is a great restaurant disguised as a pool bar. Alive with Caribbean flavors, Harry’s serves breakfast, lunch and dinner—and what a dinner: toothsome Key West conch fritters, roast pork Havana sliders and Cuban black bean soup are just the beginning. The mojito glazed salmon, grilled chimichurri marinated sirloin topped with grapefruit, mushroom and habañero pepper relish or Cuban ropa vieja are so good it might be worth staying an extra day. ROSEN CENTRE continued Everglades. Both a celebration of the natural beauty of Florida and a place for culinary inventiveness. Under scenes of South Florida wetlands beauty, the atmospheric restaurant pays homage to the land and the food that comes from it. The classically trained, award-winning Head Chef Fred Vlachos has been in the Everglades kitchen since 2006, and has created some of Evergladesâ&#x20AC;&#x2122; more popular perennial dishes such as Alligator Bay chowder, buffalo tenderloin served with blueberry onion jam, and a deeply satisfying Florida snapper dusted with porcini mushrooms. Creekstone Farms Black Angus steaks, filet mignon topped with crabmeat, and Berkshire All-Natural Duroc pork chops satisfy the meat lovers. Rosen Shingle Creek features two superb AAA Four Diamond Restaurants. (From left) Rosen Shingle Creek Executive Chef Jorge Oliveira, Rosen Centre Executive Chef Michael Rumplik and Rosen Plaza Executive Chef Michael McMullen. meaning to the Italian word “abundanza”: roasted lamb chops, braised osso buco or the abundantly exquisite Cala Bella Seafood Pescatore extravaganza of lobster, mussels, calamari, shrimp and scallops make the perfect entrée. And rounding out the evening is the award-winning creations of master chocolatier David Ramirez, who takes dessert to a fine art. Take time for a before-dinner aperitif or after-hours cocktail at Bella’s Bar. Banrai Sushi For eclectic and casual style, you cannot beat the creations of local legend Chef Minoru Sato at Banrai Sushi. His maki inventions pay tribute to the locale: the Rosen Roll combines lump crab, cucumber, avocado and fish eggs; the Shingle Creek even adds alligator to a traditional roll. wich and pizza stop. Headwaters Lounge takes its name from the hotel’s location on Shingle Creek, the headwaters of the Florida Everglades, and serves up a full drink menu, beautiful Shrimp and Grits and some of the finest and freshest sushi in the area courtesy of Banrai Sushi. Shogun Japanese Steak House Inside the beautiful Rosen Inn closest to Universal is Harris Rosen’s remembrance of his hotelier beginnings: Shogun. A popular family-owned restaurant when Rosen purchased the hotel in 1974, the serene Japanese interior and energetic teppanyakistyle cooking impressed him so much that the steakhouse, and the family, remained. The superb expanded sushi menu is just the beginning; and the culinary juggling show entertains while you dine. Skilled chefs flip food, clang knives and engage (there might even be a song) while cooking Japanese specialties and local fresh seafood (Gulf shrimp from the teppen table is unbeatable) to the accompaniment of a fascinating craft cocktail assortment. HOW ROSEN DOES DINING. Whatever you crave, a unique dining experience is waiting for you at Rosen Hotels & Resorts. Not only committed to legendary hospitality, we are dedicated to providing incomparable moments around each and every dinner table at all of our one-of-a-kind, enticing restaurants. MEETINGS With an outdoor terrace and four outdoor swimming pools, Rosen Shingle Creek can host thousands of guests for festive nighttime events. GATHERING FOR SUCCESS Rosen Hotels & Resorts are Orlando’s premier meeting destinations. What sets them apart? The Rosen Difference. hotel, which has earned a M&C Gold Platter for its culinary excellence, among numerous honors. More than 150,000 square feet of meeting and event space, including a 35,000-square-foot Grand Ballroom, 18,000-square-foot Executive Ballroom, 14,375-squarefoot Junior Ballroom and 35 breakout rooms, accommodate a range of meeting needs. With an elegant Caribbean ambiance and indoor and outdoor seating overlooking an outdoor tropical swimming pool, Harry’s Poolside Bar & Grill is a top choice for a poolside gathering with built-in theming, with space for 70 at a seated event and up to 1,700 when including the scenic pool deck. For a true taste of Florida that will leave a lasting impression, consider hosting a private event at the Everglades Restaurant, where guests dine under the watchful eye of tropical fish and manatee sculptures. “Whether you are hosting 10 guests or 3,000, our staff treats each event with the highest level of excellence in presentation and service,” said Todd Frappier, Director of Sales & Marketing, Rosen Centre. “We are proud of our consistency, versatility and a team that is dedicated to exceeding our clients’ needs and expectations.” “The staff is incredible. The team’s attention to detail and eagerness to please (even with our insane requests) are the sole reasons we continue to use Rosen Centre. They never let us see them sweat. They never say no and always pull out all the stops to make sure our programs are as turnkey as possible,” said Pascale. Meeting over martinis at Harryâ&#x20AC;&#x2122;s Poolside Bar & Grill. The fashionable Runway to Hope at Rosen Shingle Creek. Sophisticated poolside elegance at Rosen Shingle Creek. Rosen Centre's Presidential Suites are ideally suited to host intimate meetings. Rosen Centre aglow at night. An illuminating affair at Rosen Shingle Creek. Trend Micro in Rosen Centre's 35,000 sq. ft. of state-of-the-art meeting space. As the sun goes down, the scenery sizzles at a Rosen Plaza poolside event. Day or night, Harry's Poolside BarCreek & Grill at Rosen Shingle Rosen Centre is a great aplace to gather. provides beautiful setting for weddings. Rosen Plaza's ballroom reception area can be dressed up or down to fit any event. One of Rosen Shingle Creek's versatile indoor meeting venues. 2019 SIGNING BONUS Signing bonuses available for NEW business leads received during 2019 select hot dates*. Leads must meet a minimum of 250 room nights, and a designated minimum of food and beverage contributions for Rosen Plaza, Rosen Centre or Rosen Shingle Creek. After signing, bonuses will be awarded starting at $3,000 and applied to master accounts. The Legend Continues Exciting expansions are just around the corner. Harris Rosen, looking over the grounds of Rosen Shingle Creek. complex that features 524,000 square feet of meeting and event space will provide guests with ease of access. More expansion plans are on the horizon for the company’s ideally located, I-Drive meeting hotels Rosen Centre and Rosen Plaza. Both hotels are uniquely positioned as bookends, connected on either side to the Orange County Convention Center. With the center’s $500 million expansion slated to begin in 2020, there would be an obvious need for more guestrooms contiguous to the 2.1 million square-foot facility. In the next 4 or 5 years, Rosen Centre and Rosen Plaza have plans to grow to accommodate this need. Rosen Centre will be adding a minimum of 150,000 square feet of meeting space, increasing the hotel’s overall meeting space to 300,000 square feet. The expansion also will include adding a minimum of 600 guestrooms, increasing the hotel’s overall guestroom count from 1,334 to 1,934 and the company’s overall guestroom count to more than 7,000. Several years after that, with potential expansions at Rosen Plaza, the company’s total guestroom count could reach close to 8,000. MEMORABLE. Flawless to the eyes and perfection to the taste buds, Zayde’s Kosher Catering at Rosen Plaza offers exceptional internationally inspired kosher cuisine for every and any corporate event or occasion. All underscored by Rosen Plaza’s impeccable service and unwavering commitment to ensuring your event is unforgettable in every way. The Fun and Adventure Never End on Orlando’s I-Drive Come to Orlando for attractions, activities and amusements galore. A TRIP TO ORLANDO is the dream of people from around the world, drawn to the destination’s fantasy worlds, its high-flying adventures and world-class attractions. Orlando also offers unique attractions that educate and honor its natural wonders, amazing animals and opportunities to soak up the sunshine. International Drive has six theme parks and more than 30 attractions alone, all with something to thrill and satisfy everyone. Get in the Fast Lane with Universal Attractions Universal Orlando Resort™ puts guests on the fast track for adventure, with the addition of new rides that thrill. The newest is at Universal Studios, where Fast & Furious – Supercharged puts riders on a full-throttle experience with Dom, Letty and the rest of the crew of the popular film franchise. What starts as a fun trip checking out amazing cars and riding through iconic locations from the film erupts into a wild chase as the F&F family helps you to escape unexpected danger. Experience more excitement as you Race Through New York Starring Jimmy Fallon™ within the New York-themed area at Universal Studios Florida™. The theme park also continues to immerse guests in blockbuster films, with TRANSFORMERS: The Ride–3D, E.T. Adventure and Revenge of the Mummy. You can also become part of the crew with the hysterical 3D tale of Despicable Me Minion Mayhem. Muggles and wizards alike can also embark on a magical, multi-park expedition (with a park-to-park admission ticket) to the Wizarding World of Harry Potter aboard the Hogwarts Express train ride between Universal Studios and Islands of Adventure. At Diagon Alley, experience Harry Potter and Escape from Gringotts, a 3D ride through the underground vaults of Gringotts Bank. In Hogsmeade, at Islands of Adventure, tour Hogwarts, then fly above it on the Harry Potter and the Forbidden Journey ride. ENTICING EVENTS ARE JUST THE BEGINNING. 8201 International Dr. | 407-363-4418 Valid online only. Cannot be combined with any other offer or discount. Expires 12/31/19. ©Ripley Entertainment Inc.
(This page, clockwise from top) Bowling, one of many activities at Kings Bowl Orlando; roaring around the track at Andretti Indoor Karting & Games; the Mako rollercoaster at SeaWorld Orlando. (Previous page) The ICON Orlando 360. Thrills at SeaWorld Orlando? More than you know. You may be familiar with SeaWorld Orlando’s conservation efforts and up close interactions with animals, but there are more thrills at this park than you might imagine. With the addition of Kraken Unleashed and on the heels of Mako™—Orlando’s tallest, fastest and longest coaster, SeaWorld now has more thrills than ever, as the two coasters join other thrill rides such as Manta, Journey to Atlantis and the new Infi nity Falls. enjoy the sun and play in the water as well. At Aquatica, SeaWorld’s water park, you’ll have three ways to slide, splash and soar on a brand-new water adventure: Ray Rush thrill slide! You may also free-fall on Aquatica’s Ihu’s Breakaway Falls and go crazy on Tassie’s Twisters. Do not miss the park’s most popular attraction, Dolphin Plunge, and slide via an enclosed tube alongside Commerson’s dolphins. Plan a fun-filled day at Volcano Bay, the newest park to open at Universal Orlando Resort™. You will swear you’ve traveled to the islands as you enjoy 18 attractions in four themed areas. Whether you’re looking to relax on Kopiko Wai Winding River, or plummet breathlessly on Ko‘okiri Body Plunge’s 70-degree drop, there’s something for everyone. More fun awaits at ICON Orlando 360, a grand entertainment hub in the heart of International Drive, with dynamic attractions, restaurants and shops. Take excitement to new heights on the ICON Orlando, a 400-foot observation wheel overlooking Orlando’s skyline. If you dare, high-flying adventure awaits on the new Orlando StarFlyer, where riders sit aboard a dual-person swing and travel around a 450-foot high tower. The world’s tallest swing attraction takes you even higher than the neighboring ICON Orlando for an adrenaline rush that you won’t soon forget. A swing of a different type is in play at the new Topgolf Orlando attraction located just off of I-Drive, offering 102 climate-controlled driving bays that can host up to six players each, using advanced technology to track shots. Pros and novices alike will enjoy a novel game that combines traditional golf with a scoring system similar to darts. See incredible wax figures of famous people at Madame Tussauds, view an astounding array of ocean creatures at SEA LIFE Aquarium or see the fascinating SKELETONS: Animals Unveiled! located under ICON Orlando and displaying more than 400 real skeletons. Also near ICON Orlando is Kings Bowl Orlando, a 30,000-square-foot entertainment venue with bowling, billiards, bocce ball, ping-pong, shuffleboard and dining. Unlock more excitement at Escapology, an escape room encounter daring players to decode clues. Pointe Orlando offers an array of eateries, clubs and gaming spots, including Monkey Joe’s wall-to-wall inflatable zone, Regal IMAX theater and Main Event, featuring bowling, a high-ropes course and billiards. If you’re looking for a fun outing, check out the Andretti Indoor Karting & Games experience now open near Rosen Shingle Creek. This more than 160,000-square-foot indoor facility features high-speed electric super karts on a two-level track, more than 120 arcade games, a rock wall, zip line and more. With so much to see and do, you will want to return to Orlando again and again. With six affordable properties to choose from, Rosen Hotels & Resorts has the perfect hotel to fit your vacation and budget. Each one offers comfortable deluxe accommodations, delicious dining options and recreational amenities—all with complimentary Wi-Fi and no resort or parking fees. Combined, the six properties have 3,058 guestrooms, plus over 6,270 square feet of meeting and event space suitable for any occasion. No matter which Rosen hotel you choose, you’ll be just steps away from Orlando’s famous attractions and world-class shopping and dining hubs. For reservations and more information, visit OrlandoHotels4Less.com or call 877.22.4LESS. Rosen by the Numbers What does it take to keep Rosen Hotels & Resorts humming? Probably more than you could possibly imagine. Here are some behind-the-scenes annual facts and figures. Number of Rosen’s Perfect Pizza slices served up at the nine Rosen Hotels & Resorts and created by Harris Rosen and Executive Chef Jorge Oliveira. Number of ounces of Rosen Hotels & Resorts’ own micro-brewed Alligator Drool pale ale refreshing guests annually at all nine hotels. Autographed celebrity caricatures (like prominent surrealist artist Salvador Dalí, pictured below) penned by Harris Rosen’s father, Jack, during his career at the Waldorf Astoria New York and gracing the walls of Jack’s Place restaurant at Rosen Plaza. Pounds lost through the company’s Weight Watchers at Work program since its inception in 1997. Number of eggs our culinary team has served annually in delightful dishes ranging from fresh made-toorder omelets to decadent chocolate delicacies. Number of miles traveled by Rosen Hotels’ associates in community walks sponsored by the company each year. Divided by 36 sales managers, this is an average of 11.28 years of service per manager. Nice to know you’ll see the same familiar faces when you visit! Number of retrieved golf balls from Shingle Creek Golf Course waterways – every year! Rolls of toilet paper used annually across nine hotels.